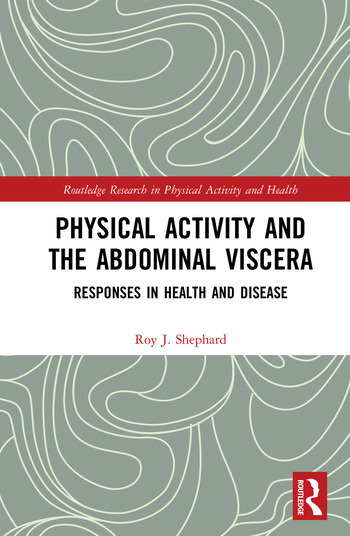 Physical Activity and the Abdominal Viscera is the first book to examine the response of the visceral organs to acute and chronic physical activity, in cases of both health and disease. Bringing together a previously disparate body of research, Professor Roy Shephard sets out the physiology, function during exercise, pathology of disease, and role of physical activity in preventing and managing disease in the visceral organs. Working systematically through the viscera, the book first identifies the response to exercise and pathologies of the liver, gall bladder and biliary tract, then goes on to examine the function of the kidneys and bladder, and finally covers issues including the spleen, sickle cell disease and prostate cancer. Providing a clear and well-structured guide to the relationship between the visceral organs and physical activity, Physical Activity and the Abdominal Viscera is a vital reference text for academics and upper-level students in sports medicine and clinical exercise physiology, and for health professionals in preventive medicine. Roy J. Shephard is Professor Emeritus of Applied Physiology in the Faculty of Kinesiology & Physical Education at the University of Toronto, Canada. He was Director of the School of Physical and Health Education (now the Faculty of Kinesiology & Physical Education) at the University of Toronto for 12 years (1979–1991), and he served as Director of the University of Toronto Graduate Programme in Exercise Sciences from 1964–1985.